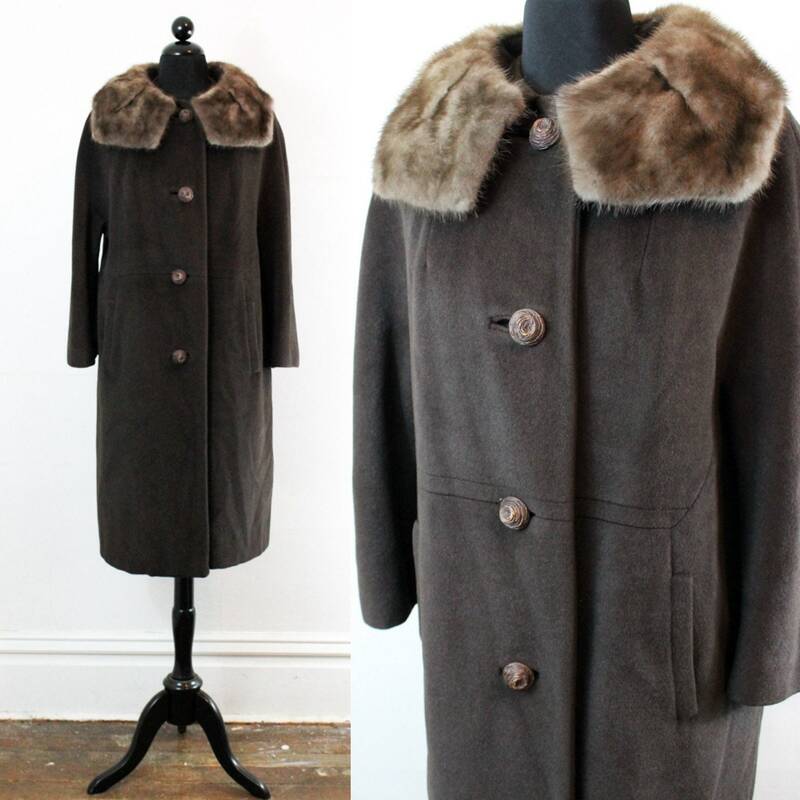 This late 50s/early 60s mid century coat is constructed of a velvety soft wool and fur blend fabric in a rich dark chocolate hue. 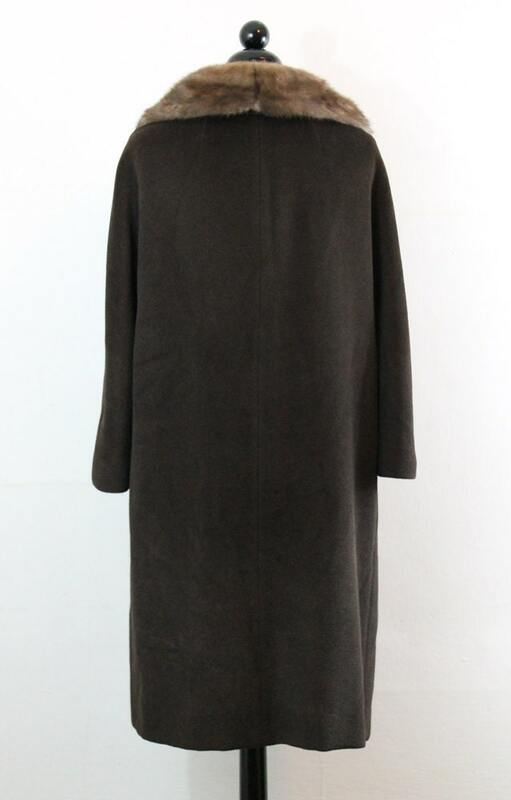 The coat features a classic column fit with unique seam detailing through the front torso and secures with four carved plastic rosette buttons. 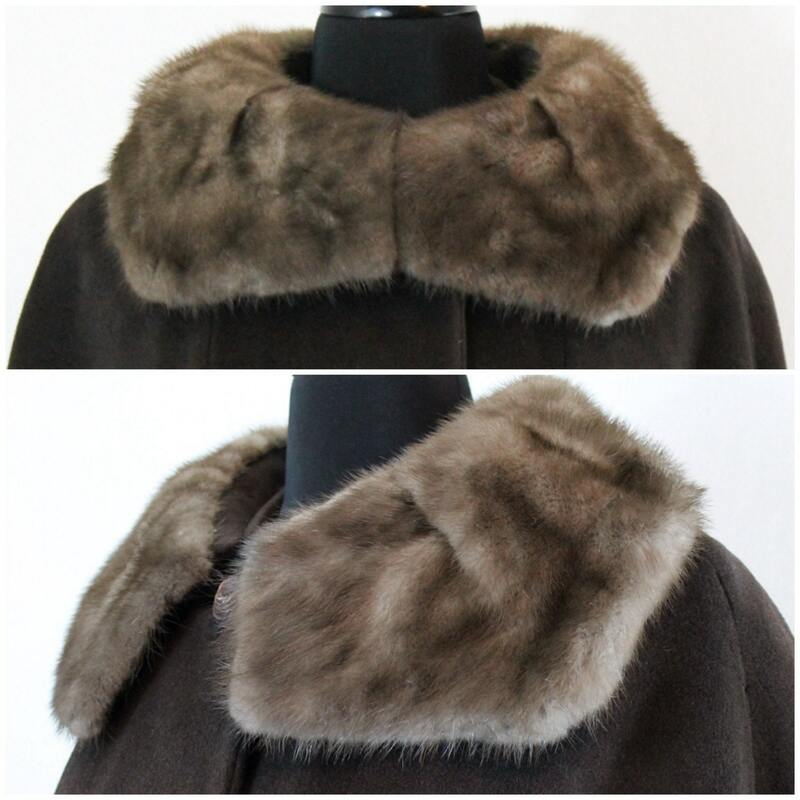 The coat is finished with a contrasting brown mink collar that has been crafted to form two rounded points when worn fully hooked. 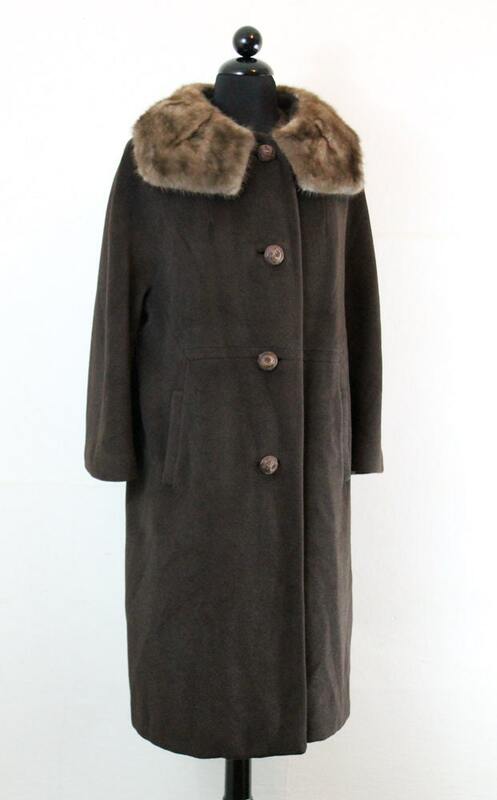 A special note regarding coats: measurements are of the coat itself. For best fit you will want an allowance of at least one to two inches throughout to accommodate movement and clothing layers when worn. 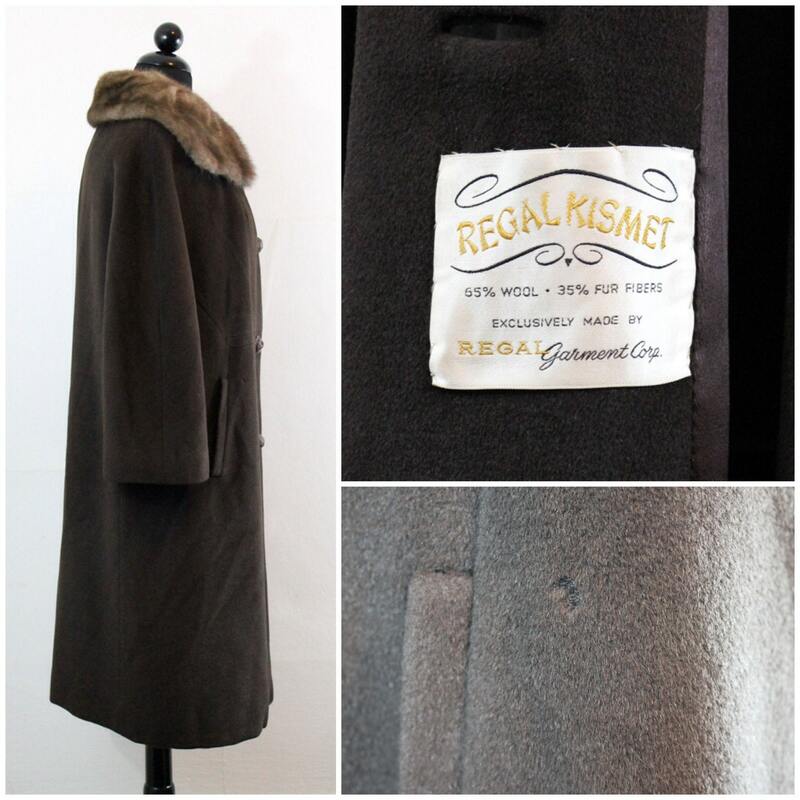 Coat displays minimal evidence of wear in the form of minor creasing easily remedied with a good steaming and a single grazed spot by the right pocket. No other issues of note. Feel free to contact me for additional photos.